For students who do not live or come from an English language speaking country then we recommend taking an IELTS course to improve your language to level 5.5 or higher. This can be done alongside our courses. Your minimum level of English may vary depending upon which university you decide to complete your top up qualification from. You will need to have an IELTS score of level 5.5 or above on completion of the OBS course. You can study an English course alongside the OBS course. At level 4/5 you will require a full secondary education to be eligible to enrol onto the course and universities will require a minimum age before embarking on the university top-up programme. At Level 7 you will require 5 years managerial experience if you do not have a BA degree. This may vary for various University partners however. We will look at every application individually and some exceptions may be looked at. 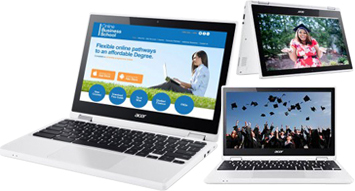 You can simply choose your course and enrol online, via the Online Business School course page. Alternatively you can call the OBS Enrollments team on 02476 223 940 and they will guide you through the Enrolment process. Do I have to pay for my assignments? All initial submissions of an assignment are included within your original fees. If a student does not receive a pass mark for their assignment they may resubmit the work. Each student is provided with 8 free resubmissions. Do I receive Help and guidance while writing assignments? Yes, all students are encouraged to arrange an initial 30 minute ‘assignment preparation’ session with one of our tutors. The session will be conducted via Skype and will cover all aspects of assignment writing particularly areas that students need to be wary of. In addition to this, students have access to tutors who work with Online Business School. The tutor details are available via the Dashboard and will show which areas they specialise in and when they are available for sessions. If a student wishes to arrange a session they can do so directly from the Dashboard, where they can specify which topic they need assistance with, or they can contact our support team at [email protected] Further information is available in the Student Handbook and the relevant course information packs. Students must complete the assignment submission form and assignment front sheets when they wish to send their work for marking, these are provided when the assignment details are sent out. One initial assignment must be submitted and marked as a pass, and after this assignments can be submitted in bulk if students wish. We apply this restriction so that students can receive feedback on their initial submission and use this feedback in order to attain a better understanding of what is required to successfully complete and assignment to the required standard. How many words do I have to write for my assignments? We recommend students write between 5000 – 8000 words for each assignment, although students will not be penalised for going over this word count limit as long as the work is related to the assignment question. When do I receive the assignments? Assignments are released to students upon enrolment. How long does the marking process take? After an assignment has been submitted our markers will return the results within 10 working days. Once all assignments have been completed and marked an Internal Verifier will check the work, which usually takes up to 10 working days. After the Internal Verification has come back, and agrees with the initial marking, all of the assignments are sent to ATHE for External Verification. ATHE will check all of the work to be sure it is of the correct standard, this process can take up to 30 working days. In total once you have completed all assignments and had them marked it can take up to 40 working days to receive your final result. Yes. Once OBS has received the cleared funds your course material will be released to you immediately. OBS offers an interest free payment plan so that you can pay for your course over a set number of months. Contact one of our student advisers for more information about this. UK students may also be eligible for student loans for the university top-up programme. Learners should make enquiries direct to their chosen university. No additional costs are levied by OBS, and all additional learning resources including tutor support, e-books, games and short business courses, are included in course tuition fees. For more information relating to tutor support click here. Payment can be made online through Sage Pay by credit/debit card, bank transfer or PayPal through any of our international banks. Assessments are included with the course purchases. Learners who achieve an OBS qualification are automatically mapped against a standard UK Higher Education qualification framework. This is a universally recognised framework of credits. Universities can therefore award credits against the OBS study to give exemptions from large parts of their formal programmes. OBS and ATHE have pre agreed arrangements with certain universities to provide credits against programmes either on campus or off campus. This is termed ‘university top-up’. The Online Business School is dedicated to providing a wide range of Undergraduate and Postgraduate courses at an affordable cost. All learning activities, materials and content are provided online using modern delivery models to make learning more engaging and cost effective. On completion of an OBS course it will give you recognised University credits to then “top up” at one of our UK University partners, saving you time and money. How do I change my personal contact details once I have given them to OBS? All details can be edited through the student dashboard. Once a student has enrolled they can login a view their course progress, edit their profile and chat to fellow students in the forum. Access to the OBS Dashboard is for a maximum of 4 years from date of enrolment. This can be extended if a request is made in writing to OBS Student admin. If learners have lost or forgotten their log in details, they can request a new password on provision of their email address. Email [email protected] for more assistance. Will I be able to get through to higher education through OBS? The OBS programmes are mapped against UK higher education qualifications which are fully transferable to a range of other higher education routes and professional qualifications. On completion of the OBS level 4/5 programme students will be awarded 240 credits ( The first 2 years of a Undergraduate degree) . They can then top up to their final year at one of our University partners who recognise the ATHE qualification. Similarly at level 7 students gain 120 credits from a total of 180 credits for an MBA. Again they can top up at an OBS University partner. 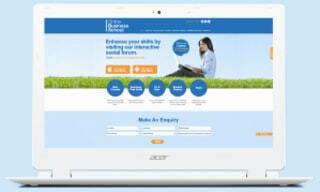 You can seek help from dedicated forums or request tutor help. Students can interact and help each other through the course content and share interesting and relevant links with each other. We also have a dedicated tutor support team all specialising in all OBS modules. All students that have enroled onto a course can communicate with other students via the social learning forum. You need to complete all the modules detailed in your required course option plus all the associated assessments to complete the OBS course and receive the ATHE diploma. This will give you the recognized University credits. You can study the modules at your own pace and can purchase more modules at any time. Do I need a specific computer to study with OBS? The modules themselves are sufficient for passing the associated assessments. The modules contain additional accessible resources that learners may wish to follow through to enhance their learning and these are provided within the text. OBS also has extra learning resources to purchase like e books and webinars to aid your study. Each module and assessment passed generates a certificate of completion which details module content, level of study and learning outcomes achieved. It is mapped against formal UK educational quality guidelines defined by QAA. On completion of all modules you can then write assignments set by ATHE to complete your ATHE diploma with OBS. Learners can learn at a pace that suits them. There is no time limits or dealines with OBS. Learners can study the modules in any order at any time. Does my previous study and experience count towards an OBS course? There are no exemptions or credits within the OBS system of study and you have to study all the OBS modules to take advantage of our access route. However if you think you may be exempt from a certain level then please contact us and we will advise you. We can also help you with your top up enquiries if you have already got the necessary qualifications. OBS has a network of overseas banks that will take payment direct or alternatively by credit /debit card. Alternatively we have representatives in many overseas countries and you can contact them to make payment and for tutor support and help. Will OBS act as my sponsor for a student visa? OBS cannot act a a visa sponsor but your chosen university partner can. Do I need a visa to complete modules/course through OBS? No visa is required for online study. If a student chooses to take the university top-up programme on campus in the UK, a student visa will be required. Learners should request this through their chosen university.